Q1 - Is there a particular decade that you think had the most entertaining Christmas offerings? Q2 - It sounds like you've met some fun and interesting classic TV stars through the years. Is there anyone who stands out in your memory and why? 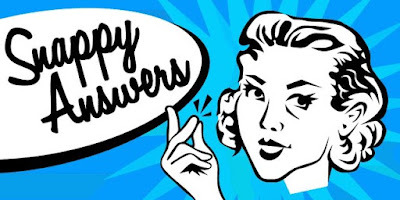 Q1: Thanks for your question Dana Page. Hhmm...most entertaining? What I've found from all my research and discussions with readers is that people feel most connected to the Christmas entertainment they watched when they were young. For example, people who grew up in the 1980s love returning to the sitcoms, animated specials, and TV movies that were popular during that decade while people, like myself who grew up in the 1970s, feel a strong emotional sense of the holidays watching programming that aired in the 1970s, etc. That means kids watching Christmas TV specials and programs today will one day find a strong connection to these same television stories when they are adults. This seems to be true regardless of any claims to quality or even taste. Many of us are still delighted to re-watch a horrible animated TV special from our childhood--even though we know it's awful! (I'm talking about you, Christmas Comes to Pac-Land!) Christmas entertainment is unique in that we allow ourselves to derive a tremendous about of pleasure from re-watching something year after year--even if our adult standards for entertainment have changed. Nostalgia is a very powerful motivator. 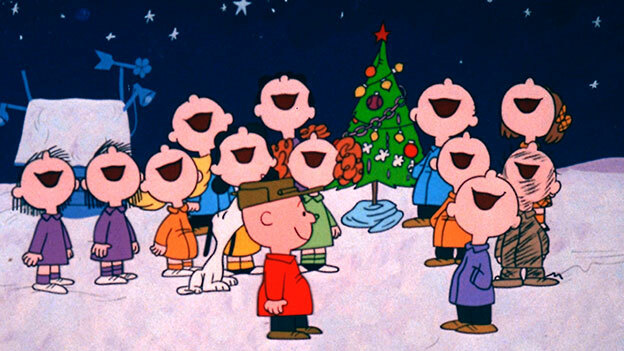 A Charlie Brown Christmas celebrates turning 50 years old this year! That being said, I think the most influential decade for Christmas entertainment was the 1960s. Much of our most popular contemporary Christmas entertainment reached its height or established its roots in that decade. Music and comedy variety programs were present at the very start of television in the late 1940s but it was during the 1960s that extravagant Christmas TV variety specials were in their heyday--with the likes of Frank Sinatra, Bing Crosby, Perry Como, Bob Hope, Andy Williams, the King Family, Judy Garland, and more. Although theatrical release movies were always shown at Christmas on television, it was during the 1960s that holiday movies created just for television began to be produced. To be fair--the Christmas TV movie didn't really lock onto its current identity until the explosion of cable television in the 1990s--however it all began in the 1960s. And of course, animated Christmas TV specials flourished in the 1960s. Walt Disney created animated Christmas TV specials in the 50s however the material was largely segments from his popular theatrical release movies and cartoon shorts. The first original animated Christmas program created just for television was Mr. Magoo's Christmas Carol in 1962, followed by Rudolph the Red-Nosed Reindeer in '64, A Charlie Brown Christmas in '65, and How the Grinch Stole Christmas in '66. These programs not only won the hearts of TV viewers but changed television forever. Despite Rudolph and Charlie Brown airing each year--for the past 50 years--on a major network, more animated TV specials are created each holiday season. The cultural impact of these classic 1960s animated Christmas specials still resonates with adults and children today. Q2: I've enjoyed the pleasure of meeting many actors from some of my favorite Christmas TV programs and movies. Some of this happened because I have had several book signing events during celebrity autograph shows. Those are always fun! But I think the experiences that stand out as more meaningful are the ones in which I had the opportunity to share experiences and conversations with the actors. 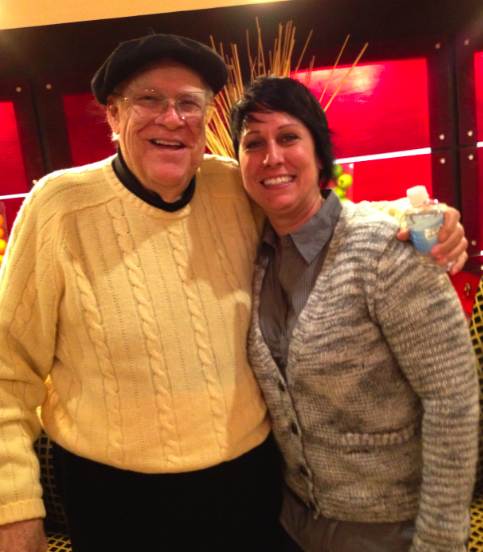 For example, I met David Huddleston at the 40th anniversary screening event of the Christmas TV movie The Homecoming. You can read about that again HERE. Several days before the event, I was asked to conduct an interview with him. Before the camera was rolling, he asked "What is wrong with you?" which broke the ice (I was really nervous) and he made me howl with laughter. He teased me quite a bit and made the experience a lot of fun. 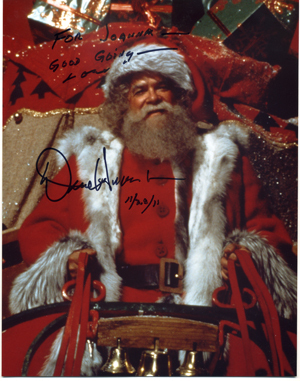 After the interview, he offered me an 8x10 photo from Santa Claus: The Movie (1985) in which he played the title character. He signed it "Good Going" as an extension of the jokes we were sharing earlier. I ended up spending more time with him and his wife throughout the entire week of events that surrounded the movie screening and the cast reunion. He and his wife were fun to be around and he shared quite a few interesting stories from his career in film and television. The Big Lebowski makes a good Santa Claus too. I appreciate Barry Williams' generosity. 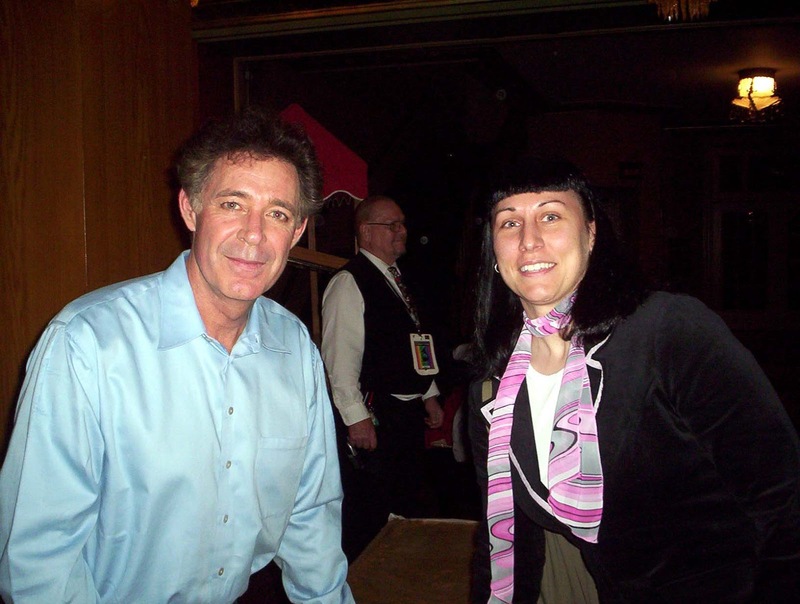 I briefly met actor Barry Williams after a stage performance of the play A Christmas Carol several years before my first book came out. Meeting the actor who played Greg Brady from The Brady Bunch was incredibly surreal and wonderful. Then when my first book was being published, my editor contacted Williams to see if he'd be willing to give a testimonial for it. If you've read The Christmas TV Companion, you know Williams is mentioned several times in it since he stars in the holiday episode of The Brady Bunch, the TV movie A Very Brady Christmas, the Dragnet Christmas episode, and he sings in one of the holiday episodes of The Wiggles. Anyway, he was very generous and not only agreed to look at the book--but he also gave it his endorsement. You can see his blurb again HERE. So that was really thrilling and cool. Tina Cole and I in 2013. We're holding my DVD copy of the 1967 King Family Christmas TV Special. Another classic TV actor I was impressed by was Tina Cole. Tina was was attending an autograph show in Chicago where I was also signing books. I'm a big fan of the TV series My Three Sons--she played Katie Douglas (Robbie's wife)--and I've also written about The King Family Christmas specials (Tina is a member of the King family and performs as one of the King Cousins). I saw her announce on Facebook that she was organizing a last minute meet-and-greet for her fans to join her for dinner or drinks after the convention hours. I messaged her that I would like to attend and there was a small group of us that turned out. She was very friendly and open! It was a wonderful informal get-together. She shared stories all night long--she was barely able to finish her dinner. And fans from all over the country were able to get some face time with her. I thought that was extremely generous of her to open herself like that for her fans. 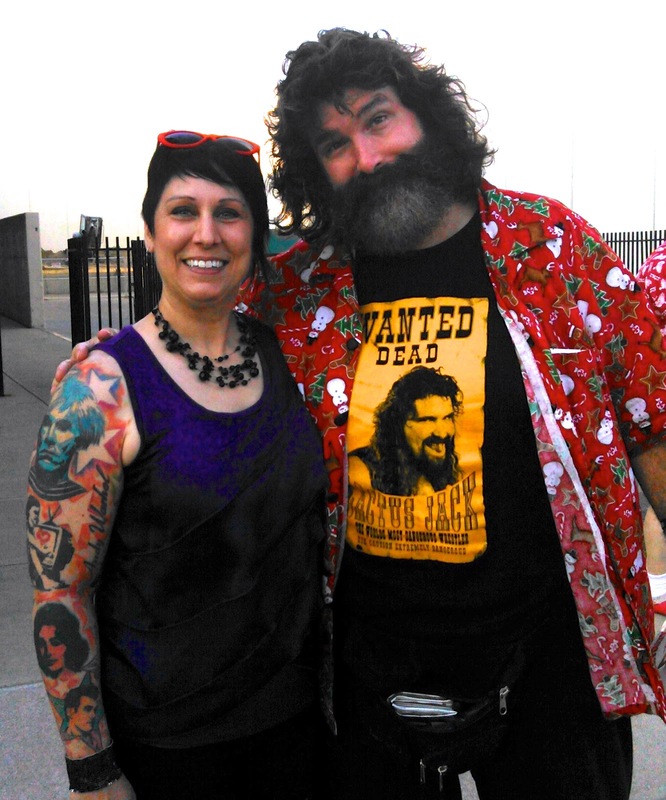 Mick Foley and I in 2014. I'm also lucky to find that I have fans myself. I was contacted in 2014 by former professional wrestler/best-selling author Mick Foley. Turns out he loves Christmas and had purchased the encyclopedia I wrote Tis the Season TV. He was on tour across the country last summer with speaking engagements and he invited me to dinner and to his event. I was pleased to join him and discuss Christmas on TV. It was also a treat to watch him work to a sold-out crowd--he's a charismatic speaker and a master at what he does. I'm truly lucky to have met such interesting people and had amazing opportunities from writing my books. Thanks for your questions Dana Page. Anyone else have a question about Christmas TV entertainment? Ask me on social media or place your question in the comments HERE. Did you see my response to Answer Time #1? Here's the link to that. Thank you for such fun and thorough answers! I agree with you about the '60s for Christmas programming. It seems like a magical time for variety and animation. I loved your stories about all of the celebrities. Tina Cole is a favorite of mine, so it's nice to hear that she's as nice as I would have expected.